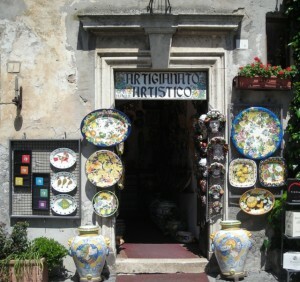 This shop is set in the marvellous Piazza Duomo facing the great city cathedral. In our shop you can find some interesting fine ceramic products and art object, including masks, vases and many other hand-decorated objects. The shop is open all days.